Geneva, 2nd June 2009 – The manufacture movement used in the new Wyler Genève WT3 tourbillon has a breathtaking design, a unique type of decoration and is the first to be produced in accordance with strict quality criteria that have been registered as the Poinçon du Jura®. The criteria to be met under the Poinçon du Jura® label are very strict: All movements produced under this label must be 100% Swiss made, of which a minimum of 90% must be made in the famous arc jurassien – the heart of Switzerland’s watchmaking industry. Furthermore, such movements must be produced by a company that is totally independent from any watchmaking group. The WT3’s flying tourbillon completes one rotation every 60 seconds from a balance operating at 21,600 vibrations per hour and its manually-wound movement offers a 72-hour power reserve. The timekeeping indicators are discreet, with just the hour and minute hands to distract the wearer’s attention from the mechanical dance beneath. The new WT3 models are available with the patented shock-absorbing Code-R case in matt black ceramic or 18-carat white gold. Inside this sandwich case, the movement is housed in a titanium container suspended on springs inside a carbon fibre frame to which the outer plates are fixed by polished titanium screws on the white-gold model and black DLC-coated screws on the ceramic model. 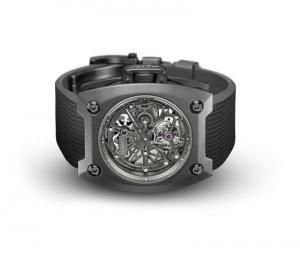 The result is the world’s only sprung-mounted, shock-absorbing tourbillon. A proprietary material exclusive to Wyler Genève is used to decorate the WT3 tourbillon. It is the result of two years of development backed by decades of experience in laser technology. Although the production method for this fragile material is a closely guarded secret, Wyler Genève can reveal that no less than 11 consecutive operations and treatments are required to transform a solid and irregular sheet of silicium, by layer depositions, coloration by precious material etc., into very precise components within tolerances of one hundredth of a millimetre. 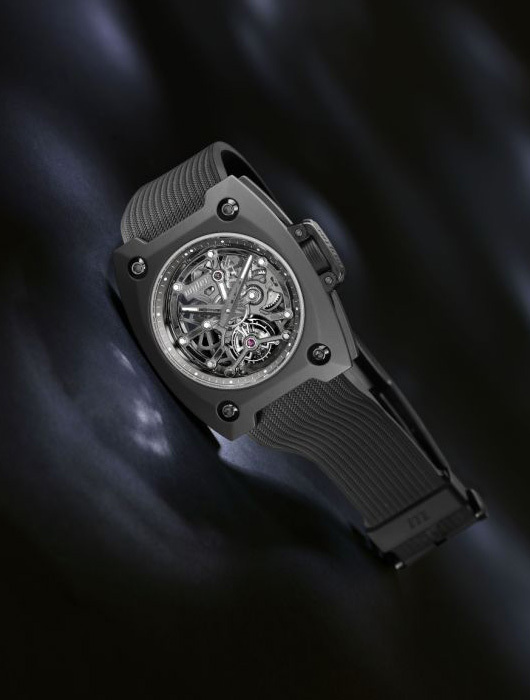 The resulting composite lends itself to the decoration of flat surfaces, making it ideal for the decoration of the movement bridges, where it catches the light to draw the eye to the complex mechanism beneath. Last but not least, each crystallisation is different, making the decoration and, therefore, each WT3 tourbillon unique. The new WT3 models are fitted with Wyler Genève’s signature rubber strap with an elegant foldover clasp. This comes with an engraved buckle in titanium and stainless steel on the gold model and black PVD steel for the black ceramic model. These luxury timepieces are water resistant to 100 metres and, like all Wyler Genève watches, come with a 2-year international warranty and a high-quality watch box inspired by vintage car toolkits. 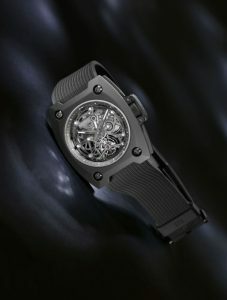 Mechanical manual winding skeleton movement, 72-hour power reserve, 21,600 vibrations/hour, flying tourbillon.